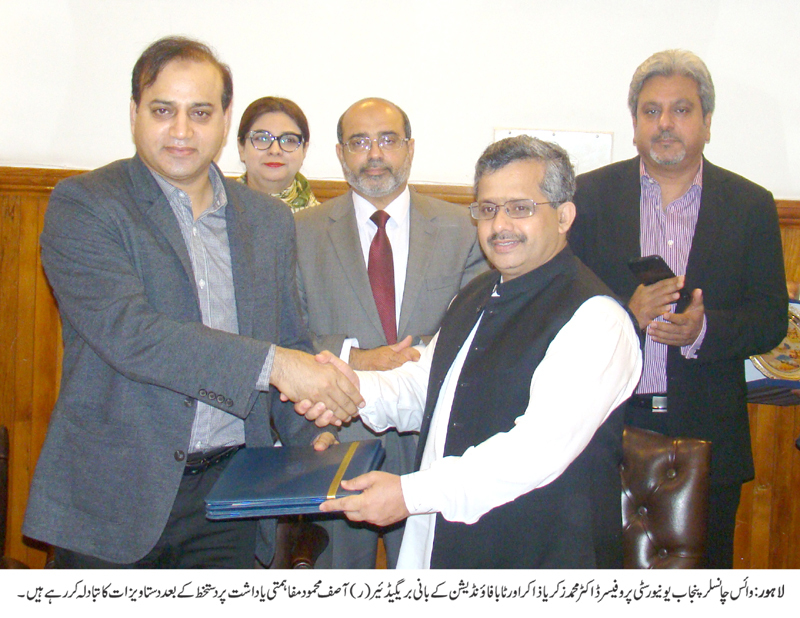 LAHORE: (Tuesday, March 27, 2018): Punjab University and TABA Foundation have signed a memorandum of understanding for collaborating on various projects relating to social service, culture and research. 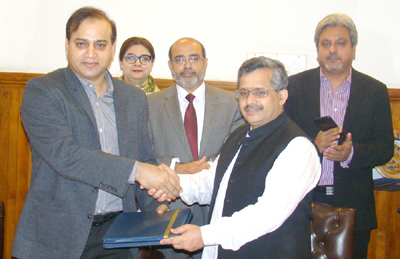 In this regard, an MoU signing ceremony was held at PU Vice Chancellor’s office here on Tuesday. PU VC Prof Dr Zakria Zakar, Founder of TABA Foundation Brig (r) Asif Mahmood, Registrar Dr Muhammad Khalid Khan, Director External Linkages Fauzia Hadi Ali and other officials were present. According to MoU, both the parties would arrange mutual interaction with students and society at large for the purpose of community welfare. PU and TABA would plan and execute other activities to promote research and innovation in the society by promoting industry-academia linkages. PU faculty members and students would work in both social and business sectors and identify social and management problems of the communities while TABA would also extend support in this regard.